A B.C. couple accused of trying to detonate pressure cooker bombs during Canada Day celebrations in Victoria have been described by a friend as "former street punks" who found Islam, but then exhibited increasingly odd religious behaviour before they were kicked out of a Surrey mosque. John Stewart Nuttall, in his late 30s, and Amanda Korody, late 20s, are alleged to have turned ordinary pressure cookers into improvised explosive devices filled with rusted nails, nuts, bolts and washers. The RCMP claim the couple were "inspired by al-Qaeda ideology," but have not released any details on exactly what that means. Ashley Volpatti said she met Nuttall and Korody at a corner store, and described the former street kids as "really, really nice people" who were attending a local mosque. "Before they turned Muslim they were street punks. That's what they were." But Volpatti said that as they became increasingly religious, their behaviour changed. "Johnny played guitar, and then about seven months ago he got rid of all his guitars. Why? Don't know. He loved them. That's what he was into. "She would always have her hair covered, long sleeves. If they weren't in traditional dress they were in camo-gear — camo pants, camo shirts." In one conversation, she said, Nuttall became quite angry, saying his brother had served with the Canadian military, but that he believed Canadian soldiers shouldn't be over "on Muslim soil." Then about six months ago, Volpatti said, the pair became distant and stopped socializing with her and her boyfriend. "He used to go to the mosque and he got kicked out of the mosque. Why I don't know, but that was when he really, really got into the religion … I think a lot of it had to do they were too much into their religion, way too much into their religion." That was roughly the same time that CSIS and the RCMP put the couple under surveillance, police said on Tuesday. "It was really odd behaviour. A guy in silver pickup would just come by and drop him off and they would talk, and he would leave," said Volpatti. She doubts they could have acted alone in the alleged bomb plot and believes someone else must have been involved. "It doesn't seem like something they would do or think of doing," she said. "I honestly think there is something a little more to it than just them. Like, there is somebody else, somebody that planted the seed in the back of their head to do this, 'cause just the two of them alone could not have pulled this off." Volpatti said she knew Nuttall played paintball, but saw nothing that would indicate the couple might be involved in a bombing plot. In an online paintball forum, Nuttall appeared to be quite active last year playing paintball on weekends. Nuttall posted comments in the forum using the name Mujahid, while Korody used the name PirateNinjaCat. Fellow paintballer Randy Tetzlaff said Nuttall had plenty of money to buy gear and would take a $100 cab ride to the area to play if he did not have a ride. Tetzlaff said Korody came only once to play that he could remember and seemed intimidated by the game. Then both of them stopped coming last August and he never saw them again. In a posting on YouTube that appears to have been made by Nuttall last year, he took offence at an insult directed at the Prophet Muhammad by another commenter and challenged him to a fight. "Hey kafir, you wanna say that to my face? I live in Surrey BC Vancouver , I will meet you on the corner of 99th and 120th on the train tracks. I cant wait to meet you kafir. I am a Mujahid and inshAllah I will die a Shaheed! Call me so we can set this up kaffir mushriqun." The couple's landlord Ramesh Thaman said on Wednesday morning he thought the couple had very limited means and questioned how they could have financed the alleged bomb plot. "I wonder, you know, how these people … how they could do this thing. I’m very much shocked. It’s very strange." Thaman told reporters the couple had lived in a basement suite in the home at 120th Street and 97A Avenue for about three years and usually paid their rent on time. Thaman, who said the suite was always messy and didn't look much different after police went through it, allowed reporters inside on Wednesday morning. CBC News reporter Steve Lus, who saw the suite, said the first thing that struck him upon entering was the overwhelming smell of a litter box that was in a back bathroom. "This place, for lack of a better word, is a total pigsty," Lus said. "[Maybe] it's partially because police have picked over it, but the landlord says that's basically the way that this couple lived." Lus said prescription methadone bottles were strewn throughout the apartment, as were video games and DVDs. "The overwhelming sense you get is people who lived basically in squalor," he said. 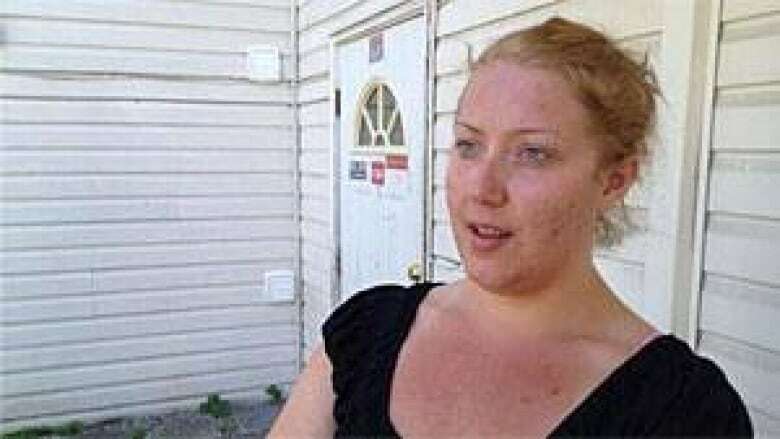 Charlene Thompson, who lives across the street, wasn't surprised after hearing the news of the couple arrest after she had witnessed some troubling behaviour at the home starting about four months ago. She said that early one morning she overheard Nuttall having a loud phone conversation in the alley. "[He was] yelling into his cellphone, and you could hear the guy yelling back at him on the cellphone," said Thompson, who then called 911. "He was … talking about jihad and all sorts of things," she added. "I wasn't really surprised.… It is a little shocking, but I wasn't surprised," Thompson said. "I figured something was going to go with this guy — he wasn't really shy about who he was." Katrina Mandrake-Johnston, who worked with Korody at Scott Hill Convenience Store, described her as kind and generous. "I was pretty shocked. They don’t seem the type to do that. I’m figuring someone coerced them into doing it," Mandrake-Johnston said. "If they were behind it alone, I would be very shocked." A former teacher at St. Catharines Collegiate in Ontario, where Korody attended Grade 9 classes, spoke to CBC News Wednesday about her former student. The teacher, who asked not to be named, remembers Korody as a troubled teen, an outsider, who was in conflict with her parents. Korody was also described as a gifted student and was part of the school's gifted program. Nuttall, meanwhile, was described as a musician who was kicked out of a heavy metal band because he drank too much. Lead singer Colin Stuart of the Victoria-area group Lust Boys said he wasn't surprised to hear Nuttall was in trouble with the law. But Stuart was shocked to learn about Nuttall's alleged religious views. Meanwhile, University of Waterloo counter-terrorism expert Veronica Kitchen said that from what police have told the public, she's not sure if the bomb plot was a credible threat. "On the one hand it could be that the RCMP thwarted something, or it could just be that these individuals weren't very good at doing terrorism," she said. Kitchen said terrorism will always pose a threat to the public, but that doesn't mean members of the public should be too concerned. "We shouldn't worry too much about the fact that we can't achieve perfect security, because it's also true that most of the time, for most Canadians, terrorism is not a thing they need to be worried about," she said. "They're much more likely to be hurt or killed, say in a car accident, than they are by a terrorist attack." Kitchen said those with extreme views aren't necessarily a problem — the trick is understanding when they become capable of acting on their views and where they learn how to commit acts of violence. Nuttall and Korody are scheduled to make their next court appearance on Tuesday.